Yamakawa: During our second session, we talked a lot about the gap between Japan and the United States. Do you think that’s all cultural in nature? Or would you say it has more to do with the differences between hardware culture and software? If you operate in the “software” mindset, you come out with a beta version of a product and then start making improvements. “Hardware” thinking, on the other hand, focuses on going through a meticulous, incremental “kaizen” process to arrive at the optimal product. Japanese people tend to favor the hardware culture. Does that affect how we work on business projects with American researchers like you, for example? Kumar: The gap between hardware culture and software culture is definitely there. To me, though, there’s a bigger difference between the old economy, which manufacturing used to revolve around, and the new economy—a structure that’s enabling a broader range of business models thanks to the advent of Internet technology. Yamakawa: In the old economy, companies would pour lots of time into creating complete, refined products in-house before putting them on the market. With the Internet ushering in the new economy, though, you’re saying that companies can now release products right away and make improvements later. Kumar: One unique thing about software thinking is that the processes of incorporating, executing, and testing a new idea are so short. If you take a new idea and see that it doesn’t work, you can turn around and immediately start the process of redesigning. That’s how the cycle rotates; there’s hardly any downtime. Yamakawa: Another thing about the software culture is how important it’s going to be for companies to secure affiliates in the global community of software developers. A company might develop the core pieces internally, but it also has to release the peripheral interfaces and tools to outside developers for testing and other work. Once the product hits the market, those third-party developers start providing loads of feedback that get developments going in the blink of an eye. In that context, I think, a company’s success is going to hinge on the size of its support network of external developers. Kumar: In hierarchical organizations, it might be hard to take that kind of approach. If I go to my boss for approval and my boss has to ask his or her boss for approval and so on, you might wait around for a year before the product gets the improvements it needs. 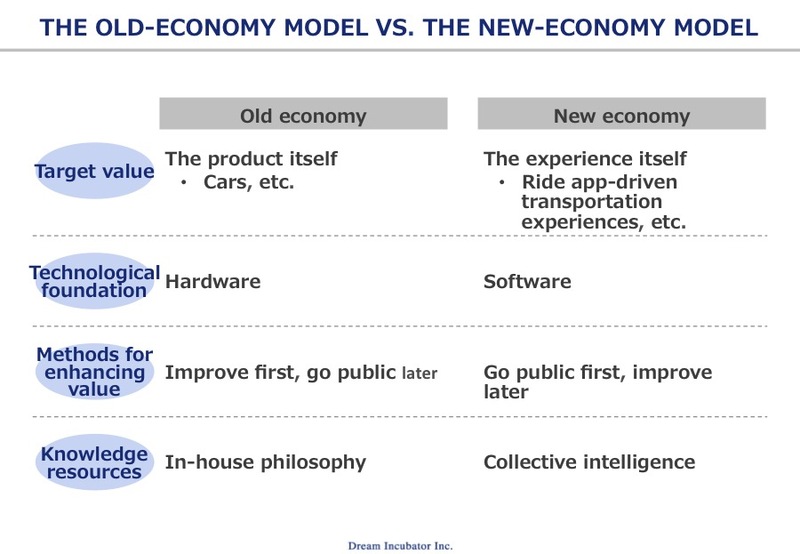 That’s why companies will need to change their hierarchical structures to get by in the new economy. Yamakawa: Right—and that’s a radical change that they have to make. Chief technology officers (CTOs), which talked a little about in our first session, might need to abandon the assumption that they can get all the resources they need within their departments or company organizations. Yamakawa: I’d like to get your thoughts on these ideas in a more specific context. You visited the Fukushima Daiichi power plant this July and offered to develop an AI-enabled drone to help with internal reactor inspections. Face to face with a huge crisis, it must’ve been extremely hard for the government to figure out how to respond. When you saw the conditions with your own eyes, did you sense any of the “gaps” we’ve been talking about? Kumar: That’s a really tough question. I don’t know the whole background, but I think the Japanese government realized that the situation was too complex to even know how to resolve everything and just decided to go with a different approach to every different problem. Yamakawa: A lot of people say that the most cost-effective solution would’ve been to cover the reactors in a concrete dome—like what happened after the Chernobyl disaster. Japan’s trying to fix the problems in a different way, obviously. 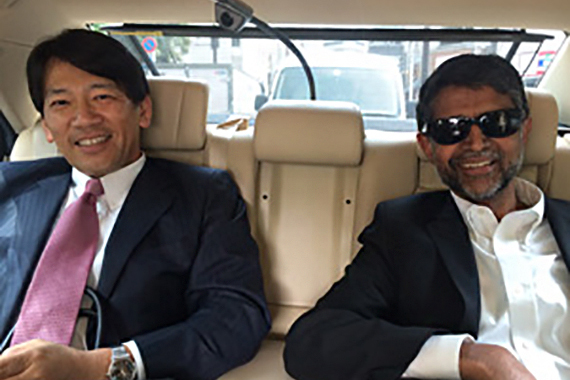 Kumar: To bring Fukushima back to a semblance of normality, the Japanese decision-makers looked at all the different issues in play and opted to decommission the reactors—an extremely expensive, technically challenging approach to take. It’s going to be hard, but I’ll do whatever I can to help. Yamakawa: We appreciate it. Over these three sessions, we’ve taken a good look at the ideas and gaps that companies will need to keep in mind as they embark on future business ventures. The cases we’ve touched on will definitely help readers get a better, clearer grasp of what’s on the horizon. Is there anything you want to tell our Japanese readers before we finish up? 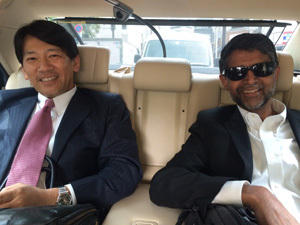 Kumar: Just as the US-Japan relationship has been for so many years, I think there’s been such a respectful culture in terms of the two countries interacting with each other on the political front. The problem is that even though we have worked successfully across governmental channels we haven’t worked in the corporate or startup spheres. It’s the opposite in China: the United States and Chinese governments are always at odds, but companies from the two countries are always forging ties. The United States and Japan have a great political relationship, so there’s definitely a solid foundation for building the same kinds of strong connections among companies and startups. That’s what I really hope to see. Yamakawa: Those are words to remember, Dr. Kumar. Thank you again. Copyright © DREAM INCUBATOR INC. All Right Reserved.